"It's all about the Land Cruisers." If you are not sure what these parts can do for your Automatic, before you invest thousands to convert your factory automatic to a manual gearbox let Rodney from Wholesale Automatics explain what these products can do for you. 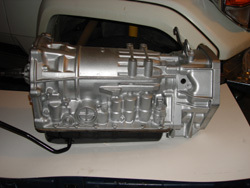 A750F Stage 1 Nomad Valve Body. 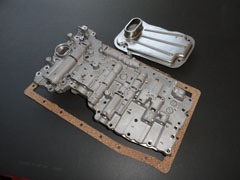 Wholesale Automatics has come up with an easy way to turn your A750F 5 Speed into a nice crisp shifting transmission without having to remove the transmission from the car, Simply remove the valve body and exchange it for one of our Heavy Duty Recalibrated "Stage 1 Nomad" Series of A750F Valve Bodies. The transmission once fitted with the new Heavy Duty Valve Body can easily handle twice the power and torque while also greatly increasing the Land Cruisers towing capabilities. All this with nice crisp shift points even while towing. This model was typically found in 2003 and later 100 Land Cruisers, Lexus LX 470 and GX 470, FJ Cruisers, Tacoms, 4runners and Tundras. 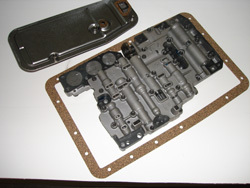 A343F Stage 1 Nomad Valve Body. 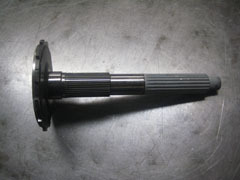 Wholesale Automatics has come up with an easy way to turn your A343F 4 Speed into a nice crisp shifting transmission without having to remove the transmission from the car, Simply remove the valve body and exchange it for one of our Heavy Duty Recalibrated "Stage 1 Nomad" Series of A343F Valve Bodies. The transmission once fitted with the new Heavy Duty Valve Body can easily handle twice the power and torque while also greatly increasing the Land Cruisers towing capabilities. All this with nice crisp shift points even while towing. This model is typically only found in North America in 80 series and early 100 series Land Cruisers. 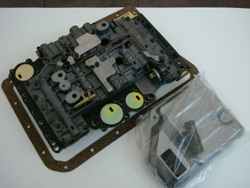 A442F Stage 1 Nomad Valve Body kit. 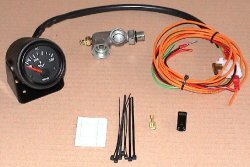 This Valve Body Assembly kit has not only been well designed to suit the standard factory engines including both the Turbo Charged and Super Charged units and will transform your transmission into a quick and sharp shifting unit that will be capable of enormous towing capacity. This model is typically found in Early 80 series cruisers. 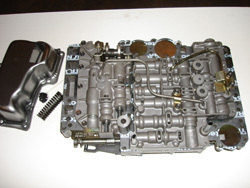 A440F Stage 1 Nomad Valve Body With 3rd & 4th Gear Lock-Up. This model is typically found in Toyota Landcruiser 60, 62, 70, 75, 77 and 80 series. 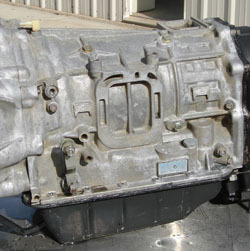 A343F fully reconditioned transmission by Wholesale Automatic Transmission of Australia, with fully reconditioned Torque Convertor and Heavy Duty Stage 1 Nomad valve body assembly. US late 95' - 97 FJZ80, UZJ100 98'-02'. Price does not reflex core charge and shipping. A440F fully reconditioned transmission by Wholesale Automatic Transmission of Australia, with Heavy Duty Stage 1 Nomad valve body assembly. 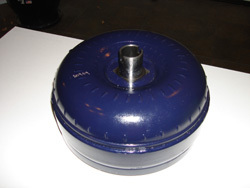 New heavy Duty Billet Torque Converter. US Model FJ62 from 1988-1990. Non US BJ74, HZJ70-HZJ77. Price does not reflex core charge and shipping. Brand New Heavy Duty Billet Toyota Land Cruiser A440F Torque Convertor. These Brand New Billet units exceeded the original design in every way and more than doubles the capability of the old torque convertor, More Power, Improves Fuel Economy (feedback that we have received puts this at about 12-13% better), Also Improves Engine Braking and keeps the transmission running much cooler. Manual Control Lock-Up Unit Toyota with A442F, A343F, A750F, and soon for the B02A(6 speed auto) transmissions. Designed to manually control the Lock-Up convertor in All forward gears and reverse(Require Extreme Valve Body for 1st and Reverse Lock-Up). Eliminates all convertor slippage and convertor runaway on steep downhill descents allowing full 100% engine braking. 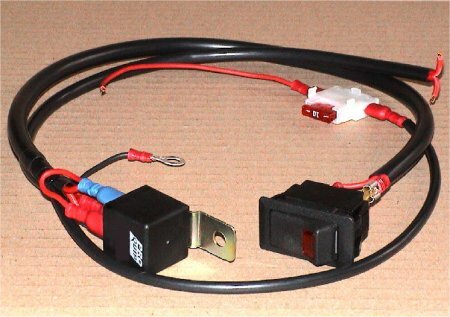 These are must for Off-road Enthusiasts as well is those who Tow. Extra Large Super Efficient Cross Flow Oil Coolers. We carry Extra Large in 10mm (3/8) cooler fittings. 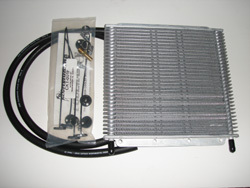 Pictured is our Extra Large Cross Flow ( Plate Type) Oil Cooler 280mm x 280mm x 19mm (11" x 11" x 3/4"). 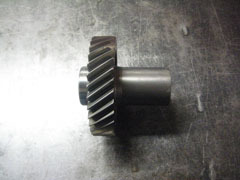 Split Transfer Case (typically A440F) Extra Long Spline Input Gear. Exedy 1HZ Clutch Kit. 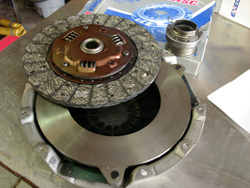 Kit includes clutch disc, pressure plate, & Throw out bearing.